Can Savannah create good parking karma? I WAS NOT blessed with good teeth or a head for numbers, but the good Lord did see fit to bestow upon me an uncanny ability to sniff out a parking space. No matter if it’s the steep stacked curbs of San Francisco or Savannah’s congested squares, all I have to do is keep my senses sharpened like a huntress and patiently cruise. Within minutes, reverse lights appear like a holy beacon, quite often just steps from where I’m going. Now, I don’t know what noble sacrifices I made in my last life that earned me such divine parking karma—or “carky parma” as we call it in our house—but I do not take it for granted. It’s a tricky type of grace, and the key to carky parma seems to be honoring its limitations. Also, it’s important to be realistic. During certain times, like during the Music Festival or a Thursday afternoon when I’m already 15 minutes late for an interview downtown, I know the best course of action is to bypass the street mess and drive to the top of the Robinson Street Garage (pricey, but the view!) I’ve also learned to meditate for guidance on when it’s just best to ride my bike. To bolster the magic, I leave extra time on coveted meters. I pay it forward by cheerfully informing visitors there’s no need to remember their space number after 5pm or on the weekends, when fees aren’t enforced. I am also happy to park and walk a reasonable distance through our pretty city, as long as the humidity isn’t going to cause Severe Swamp Hair Trauma. So when I heard that the City is considering upping its hourly rates and extending its paid parking enforcement to 8pm and on Saturdays in 2018, like many of you, my first reaction was righteous outrage. So greedy! It’s going to kill local business downtown! Carky parma cannot handle the pressure! After stomping around the office and announcing that I would never cover anything north of Gaston ever again, I had a little sitdown with the multi-part Parking Matters Study on the city website. In fact—and this is going to be hard to believe—it seems to create better and more parking options to accommodate our many visitors while taking into account residents’ quality of life. First of all, the plan simplifies everything by removing time limits on street parking and replacing them with pure economics. Spots in the super-saturated commercial downtown core will cost $2 an hour; a little further out, it’ll be $1 an hour. So if you come in to shop for shoes at Globe and find yourself lingering over happy hour at Alleycat Lounge, you don’t have to panic. Then again, if you don’t want to shell out another $2 for that $12 drink, you’ll toss it back and go. “We want to get out of the business of how long you want to park,” explains Mobility and Parking Services director Sean Brandon. Brandon adds that bringing all spaces into an equal realm gets rid of the wackadoodle grid that has lines of 5-hour meters on one side of a street and 30-minute limits on the other, an outdated situation designed for businesses that closed their doors decades ago. While it seems like the spendy rates and longer hours would be a bummer for the last remaining full-time denizens of downtown, it actually works the other way. The technical reports show that the early evening window is just as busy as the rest of the day for parking, but when those spaces become free at 5, there’s no incentive to clear out. Brandon insists that it’s locals who have helped drive the 8 o’clock extension, not the bureaucrats. 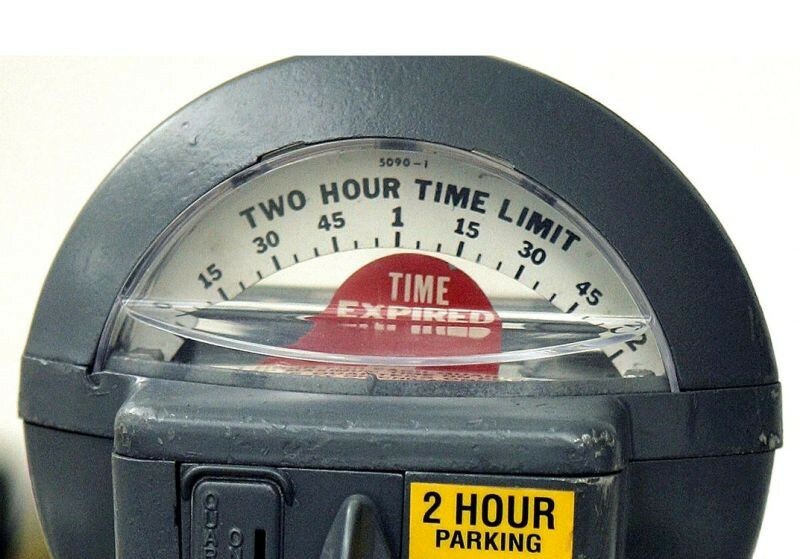 Those who live downtown and register their cars in Chatham County are already entitled to a free pass that exempts them from paying for parking at all anyway, and some Savannah-as-a-second-home folks and students are entitled to the same for $175 a year. But what about employees who drive in for an eight-hour shift? In a city where so many already work for less than $8 an hour, isn’t it outrageous to charge them $16 a day for parking? Brandon reminds that the Liberty parking garage offers a $40 monthly pass, which breaks down to little more than $1 a day. He also suggests commuter-dedicated parking could be part of mandatory public-private partnership agreements for new development. But he is adamant that there is simply no more land to build anymore large-scale parking facilities in the downtown core—we’ve got about 20,000 public spaces in six garages and on the street, and that’s what Savannah has to work with in perpetuity. The real goal is to get downtown workers—and the rest of us—to take advantage of alternatives, such as ridesharing or the new CAT partnership that will allow folks to park outside pay zones and shuttle in. The Parking Matters Plan also calls for increased bicycle infrastructure—yes, protected lanes, hi there!—and absorbs the CAT Bike Sharing Program into the Mobility and Parking Services Department. “If you live within a reasonable distance of greater downtown, we want to give you all kinds of reasonable options than just getting your car by yourself,” promises Brandon. Complaining about parking downtown is as venerated a Savannah pastime as slapping gnats over Bloody Marys at brunch, and I don’t expect any less grousing. Yet the new plan certainly streamlines things, and may even lead to fewer parking tickets. Cynics hoping to pin motivation on greed might want to look at other projected revenues: While increased hours and rates rake in more cash, the cornucopia of new services and infrastructure keeps the net balance pretty much the same. What it does do is take Savannah’s parking problem and position it as a development tool to be managed as a long term resource rather than milked as a cash cow. Sure, there will be quirks and limitations. There might even be a third pass around Chippewa Square before you get so hangry you drive to Tybee for dinner. But as my personal experience dictates, the best way to cultivate good carky parma is to be patient, kind and and willing to walk. Read the proposal at savannahga.gov/parkingmatters.